During the 1930’s Russia’s population as a whole grew significantly and cities began to swell with people. Specifically the city of Moscow grew to hold approximately 7 million people by the year 1930. Two engineers, P.I. Balinsky and E.K.Knorre, back in 1902 saw that Russia was going through a massive industrialization change and pitched the idea to create a subway system to improve transportation of the growing city. Although it would take approximately thirty two years for the first train car to shuttle off, the Moscow Metro would become a vital part of the growing city. Before construction could begin on the project that had been proposed many years before, there had to be political backing and support to fuel the project. 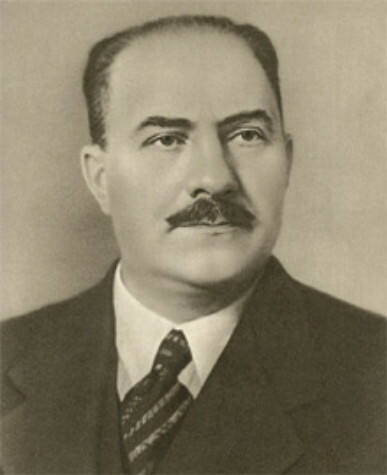 After being added and dropped from the agenda multiple times in 1932 it was finally put into action as young politicians stuck their necks out in hopes of gaining support in Stalin’s mind. 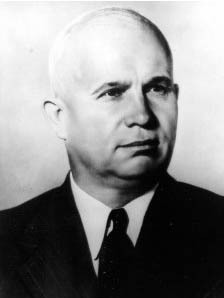 The two largest figureheads for the political backing were Lazar Kagonovich and Nikita Khrushchev. Originally construction of the metro was to be done through the open pit method used by the Germans. However shortly after its implementation the areas of the city that were being used for construction became highly congested and this simply did not work. The German method was soon discarded and a new method used in London was adopted. This new method called for underground construction so that it would not disrupt daily life above as the German method had. To ensure the first line in the subway system was perfect, it was constructed through a three step process. The first step was to organize and plan out where the line would begin and end. The next step was to begin construction and this occurred in 1933. The last and most influential step began in 1934 and was the complete construction and completion of the first subway line. The line consisted of eight stations each built in a unique way because of its location on the line. These stations not only had a unique design, they were also the first in the world to be built completely with marble and granite! At the end of 1934 the Moscow Metro Administration was created in order to oversee the rest of the construction and to manage the 3,000 plus construction workers. In the closing months of 1934 the first two cars were sent off proving to the world that under a socialist regime the people could come together to perform great feats. The Moscow Metro that was officially completed in 1935 remains a vital aspect to the city of Moscow. With a current network length of 202.3 miles, 194 stations, a total of 12 lines, over six million people ride the metro every day. The metro has gone through renovations to maintain the history of when this architectural masterpiece was created. sculptures, murals, and chandelier lighting fill the metro to exemplify the the beauty of the socialist regime that created it. Some wonderful posts on the Metro this week! Thanks for reminding us of how spectacular those marble-adorned stations are, and for such good background on the construction process. Building a metro seems like a worthy enough engineering feat. Personally, I find it pretty impressive they were able to complete the metro so quickly and the construction was worthy enough to still run today. When I think about communism, i tend to think that everything is very plain because the finer things in life are characteristic of capitalism. When I saw the picture of the metro station, I was truly amazed. I would only dream of something like that existing in Western Europe. This is truly a great feat that has a great story behind it. I agree with the above comment that it is an incredibly fast time to complete this metro, and even more interesting that it is the first to use marble and granite. It’s also interesting that they put chandeliers and other decor to make it fancier, truly leaving it an original masterpiece. I recall reading a large number of people died during construction of the Metro – not that it was a matter of particular concern to Kaganovich.